Even if you only have a few minutes to spare, it's entirely possible to move your body and boost your heart rate. 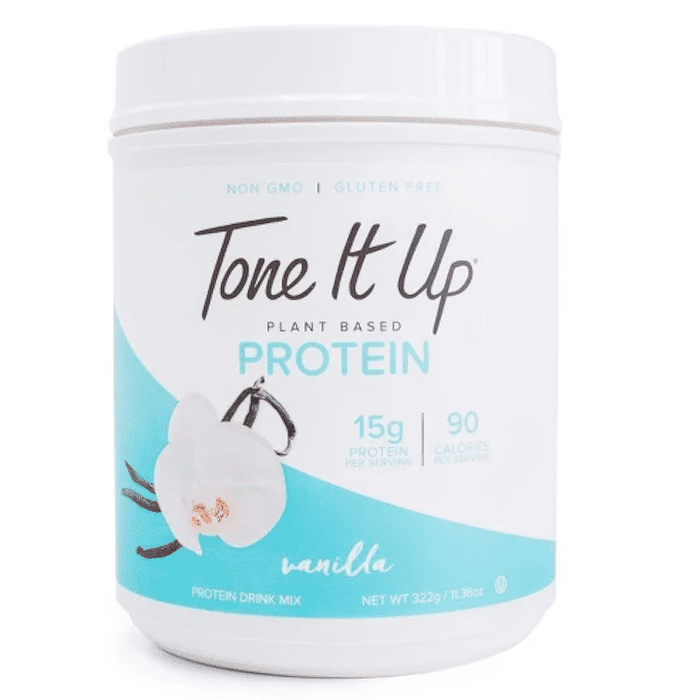 Take it from Katrina Scott and Karena Dawn, otherwise known as the Tone It Up girls. Scott and Dawn have mastered the art of integrating fitness and lifestyle, which is why we turned to them when we were in need of an effective ab-sculpting and cardio-blasting fitness routine for those painfully busy days when hitting the gym just isn't in the cards. (You know those days when you have a grand total of 15 minutes to spare in between work, meetings, errands, and various other responsibilities? "This cardio and toning combo will boost your heart rate, sculpt your gorgeous core, and rev your metabolism," Scott and Dawn say. "Adding short, high-intensity bursts of cardio is key to forming beautiful lean muscle and seeing results fast. All the moves are equipment-free, so you can do this routine anytime, anywhere!" Keep scrolling to see the most effective (and efficient) cardio-ab routine, as designed by the Tone It Up girls. Lesson one: an effective ab/cardio workout doesn't have to be complicated. Start with a simple round of high knees, which boosts your heart rate while also working your core. "Start standing with feet hip-width apart and hands in front of you with your arms bent at a 90-degree angle and your palms facing down. Lift your left knee up to touch your left palm, and then quickly alternate sides, lifting your right knee to your right palm as the opposite knee lowers." Next up, we have what the Tone It Up girls call Bikini Walkouts and Tummy Toners. This is a hybrid move that sculpts the obliques, shoulders, and legs. "Start standing at the back of your mat and walk your hands out in front of you until you reach a plank position. Bring your right knee up to your right elbow and then return to plank position. Repeat on the left side, and then walk your hands back to your feet and come up to standing." Now onto the side plank crunch. Anyone who has ever stepped foot into a Pilates studio knows how effective this one is at sculpting the obliques. "Start in a side plank position on your right forearm with your right (bottom) knee placed on the ground and left (top) leg extended out straight. Reach your left arm directly overhead. Bring your left elbow to your left knee to a crunch position. Return to start. Repeat on the other side." After you're through with the side plank crunches (good riddance), move onto the plank jack, which is just like it sounds; it's equal parts plank and jumping jack. It sculpts the core and shoulders while boosting the heart rate for that love-to-hate cardio burn. "Start in a plank position with your shoulders over your wrists, feet together, and your body in a straight line. Jump your feet out to the sides of your mat and back to center." What's an ab workout without the classic bicycle move? There's a reason this move has stood the test of time. It boosts the heart rate while toning the obliques. "Lay on your back with your feet off the ground and legs bent at a 90-degree angle. Gently place your hands behind your head, and lift your shoulder blades off the ground. Extend your left leg straight and twist your body to the right so that your left elbow meets your right knee. Switch sides." See, not so bad, right? The Tone It Up girls suggest doing 15 reps of each move, repeating for three rounds. After that, you'll have revved up your heart rate and sculpted your abs. To us, that sounds like the perfect quick workout. It also sounds like the perfect workout to do while traveling since it's quick, easy to follow, and requires no special equipment. All you need are your favorite workout leggings and sports bra—and maybe a yoga mat too. Hello, hotel room–friendly cardio! Speaking of essentials, keep scrolling to see our current favorite fitness products. Comparatively, all JoyLab pieces are insanely affordable (nothing costs more than $45). This season, we're loving this pair of printed 7/8 leggings in white and Mediterranean blue. 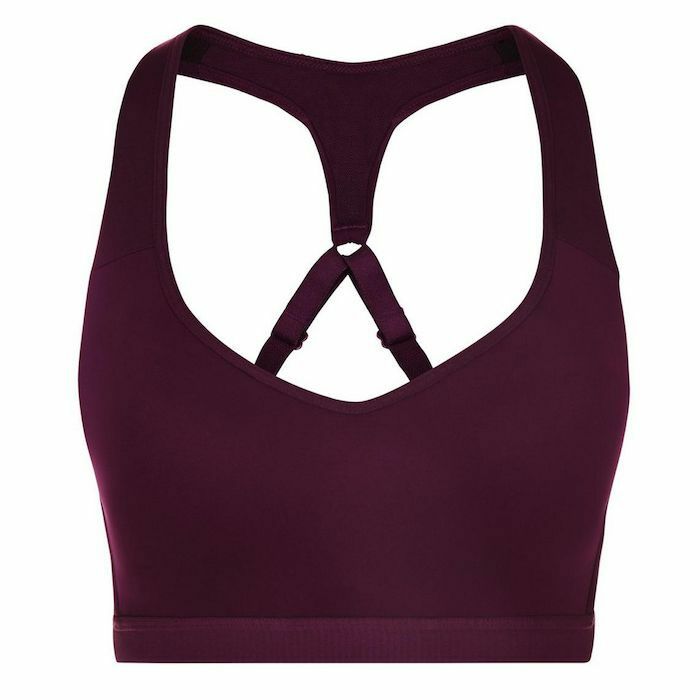 This racerback sports bra from cool British brand Sweaty Betty offers medium support, which is perfect for this cardio and ab workout (as well as any studio workouts you attend). This protein powder is plant-based and non-GMO. It comes in vanilla, chocolate, and coconut flavors and provides 15 grams of protein per serving. Scoop it up (pun very much intended) at Target or the Tone It Up website. While you're on the website, be sure to check out info on the new Tone It Up app, which has hundreds of workouts to choose from, including yoga, kickboxing, pilates, HIIT, barre, and basically every other workout ever.